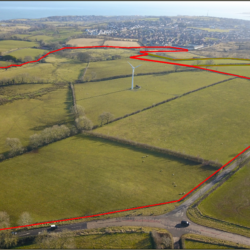 The lands, which have excellent frontage to the Ballyboley Road and Ballymullock Road, Larne are particularly well located a short distance from Larne with part of the land adjacent to the current development limit. The lands are suitable for both cutting and grazing are well fenced and have a good natural water supply. BPS entitlements are not available. 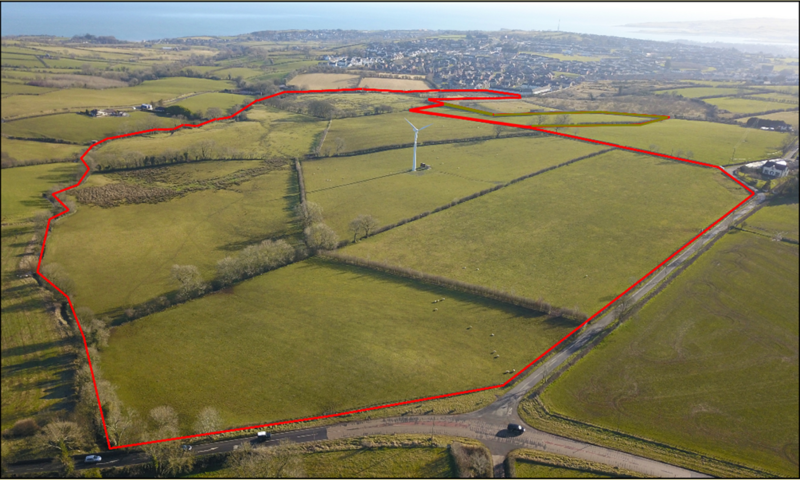 The lands include a 250kW wind turbine currently held under a 28 year lease from September 2011 to NRG Wind Solutions Ltd. The rent is 10% of the gross income received by the tenant in each year from the sale of the electricity generated by the wind turbine on the property, or the minimum guaranteed rent of £20 per annum per kW equivalent to £5000. The rental payment for 2017 was £11,340. (Offers may be considered for the turbine lease separately). This is an excellent parcel of land in a popular agricultural area and early inspection is highly recommended.